We are glad to present another featured freebie this week! 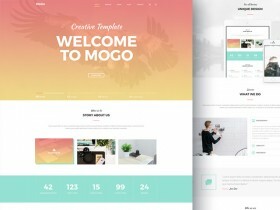 That’s Mogo, a one page website template built in Photoshop by Alexandr Karsakov. Portland is a UI kit based on Bootstrap grids for creating modern website templates. 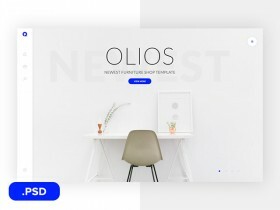 Free PSD designed and released by Denis Shepovalov. Tajam is a one-page design template for agencies built with Photoshop. It includes a clean landing page made of sections (about, team, works, etc). AKAD is a free HTML website template for digital agencies or for anyone who wants to showcase his own portfolio. The package also includes PSD file. 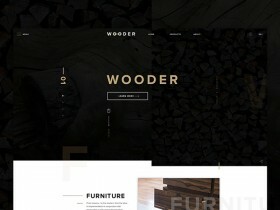 Wooder s a modern one page template for companies. It is featured by a dry and balanced look and high contrast. Designed by Viacheslav Olianishyn. 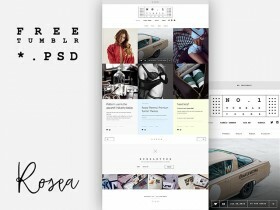 A minimal but elegant theme design template that you can use to create a Tumblr theme. 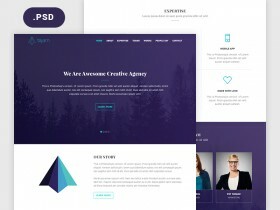 Free PSD released by Marcin Czaja. Take is a free landing page template designed in Photoshop for presenting mobile apps. Designed and released by Blaz Robar. 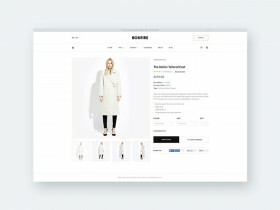 A free personal website template for creating elegant and professional resumes. Free PSD designed and released by Junaed Ahmed Numan.